A beautifully decorated interior not only functions well but it creates a mood or a feeling and shows off the personality of the family that lives there. It's attention to these three important ingredients — function, mood and personality — that ensures decorating success. Before painting and rearranging, spend some time thinking about your family and how you live. Look through magazines for inspiration and pull out ideas or rooms that appeal to you. Gather things from around the house that make you feel good and study them carefully for color cues and perhaps a clue to the mood you're looking for in your home. This is the beginning of a well-planned and decorated living area. As for the rest, let's start with function. The focal point: Sometimes rooms have natural focal points (places the eyes travel to immediately upon entering a room) — a fireplace, a bay window with a view, maybe even a built-in bookcase. If the room doesn't have a natural focal point, create one with a dynamic piece of art or a colorful area rug. The furniture: Determine whether the furniture satisfies the functions you've planned for the room. If a piece isn't working or if it's too large or too small for the size of the room, get rid of it or trade it for something else around the house that may be more appropriate. 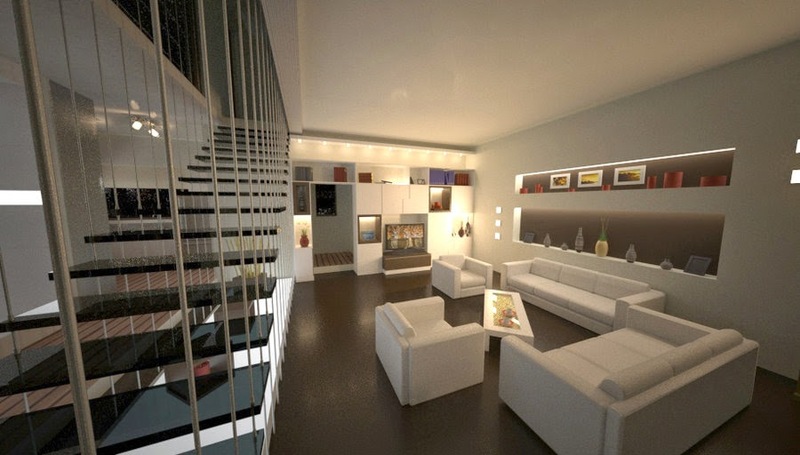 The lighting: Lighting should be selected for the functions of the room as well as for visual appeal. Every task will require either direct lighting from a lamp or indirect lights that simply brighten the room for conversation or TV-watching. Accent lighting — floor spots, track lighting or recessed spotlights — enhance texture, color and room details. The furniture arrangement: Draw your room on graph paper. Measure and mark electrical outlets and switches, vents, windows and doors. Measure your furniture and place it in your floor plan. Generally, the main furniture pieces are directed toward the focal point, keeping the major traffic patterns open. Fill in with pieces you'd like to have that may or may not be available now. Be sure to balance high and low pieces as well as heavy and light ones around the room. The inspiration piece: The easiest way by far to decorate is to start with some source of inspiration. A decorative pillow, a favorite scarf and even a magazine photo are good places to begin. Select your inspiration piece wisely, and be sure it makes you feel good when you look at it. It's the basis for selecting your theme, colors, patterns and textures. Theme: Analyze your inspiration piece and develop a theme name for it. For instance, a needlepoint pillow with a botanical design on a black background may inspire a title like "formal botanical garden." Be descriptive with your theme name and all sorts of supporting ideas will come to mind. Botanical prints, striped walls, greens and floral colors, formal fabrics and furniture, dark woods and black accents all fit this particular theme. Color cues: Color should always support the theme. Many times, the colors that are most appropriate are found in the patterns and design of your inspiration piece. Generally, it's best to choose three colors in a room: a dominant color, used for walls, carpeting and fabric backgrounds; a secondary color, found throughout the room in fabrics and accessories; and an accent color, used sparingly to give energy and excitement to the room. Keep the background color the same. Make sure all patterns share the same colors. Vary the scale or sizes of the patterns. Texture: Too many smooth, shiny objects or too much nubby, rustic texture becomes tiresome. Use variety to keep the room interesting. Even a pattern can be used as texture. Many prints look dimensional and therefore add depth to a decorating scheme. Furniture: Aside from being functional, your furniture plays an important role in supporting your theme. Some pieces may function well but their style or color may stick out like a sore thumb. Try to salvage it with slipcovers, tablecloths or paint. If it's a lost cause, remove it from the room. Accessorizing: Pictures, vases, pillows and area rugs are all integral parts of a great decorating plan. Generally, they should support your theme, but allow more flexibility here; an antique picture frame could add wonderful variety to a contemporary room. Accessories are located on walls, mantels, furniture, tabletops and floors; they can be paintings and photos or pillows. Whimsy: This is optional in your decorating scheme, but it can counteract any sterile quality that may have been created by strictly following all the guidelines. A beautiful country sitting room may get some relief from a playful quilt placed over the fireplace. The unexpected: Interest doesn't have to be whimsical; it can simply be something unexpected in a room, like a brightly-painted ceiling.